Me and D: Art Time! 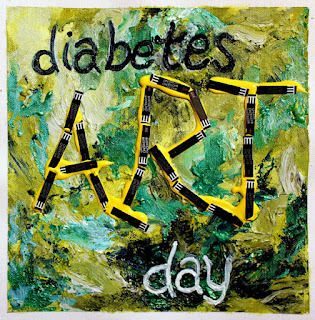 Created by the lovely Lee Ann Thill, Diabetes Art Day is a day to express yourself and your life with diabetes through art. Last week was pretty crazy, and then I was at TCOYD all weekend (more on that later), so I wasn't sure that I'd have time to make any art before today. But then Barb stepped in. 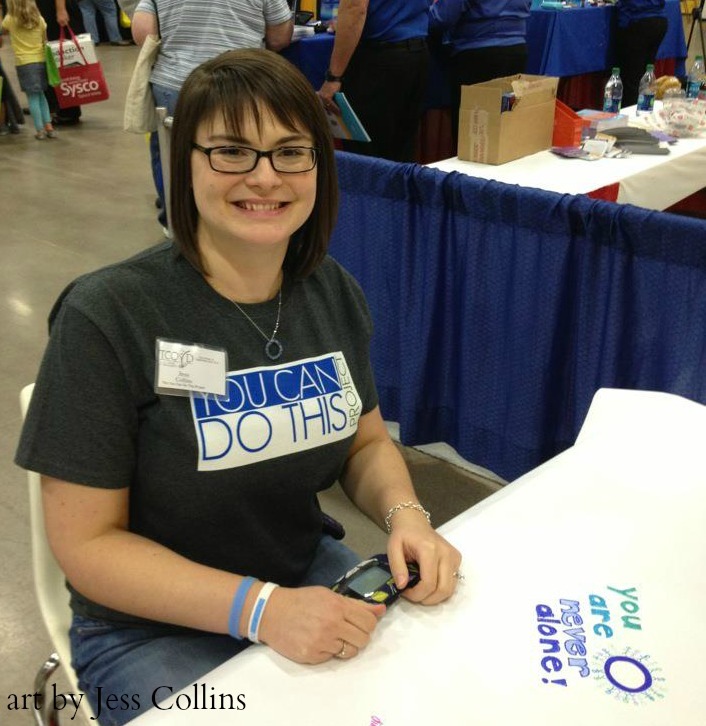 She commandeered a table at TCOYD Saturday for #DArtDay! A huge piece of white paper covered the table, and she stopped people walking by, asking them to make some art. 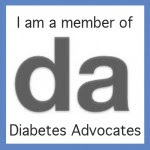 So thanks to Barb, I have some art to share! 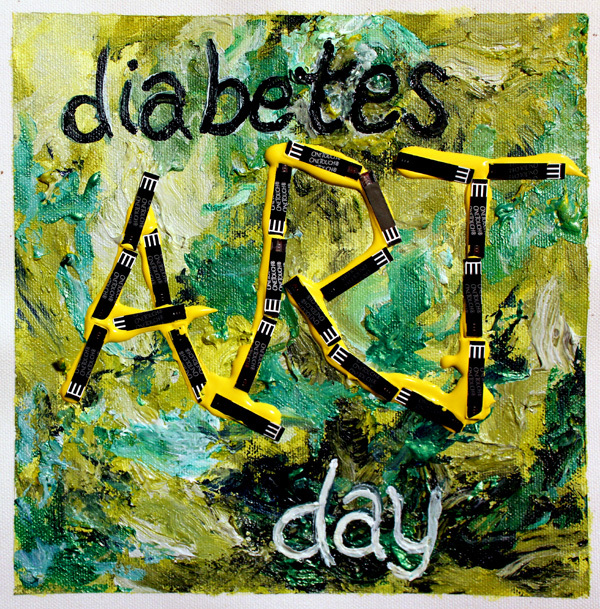 Break out the art supplies and share your life with diabetes! What an awesome idea, to have people contribute like that at a conference table! Hope we can get a snapshot of that Artsy table!! Thanks for sharing, Jess! 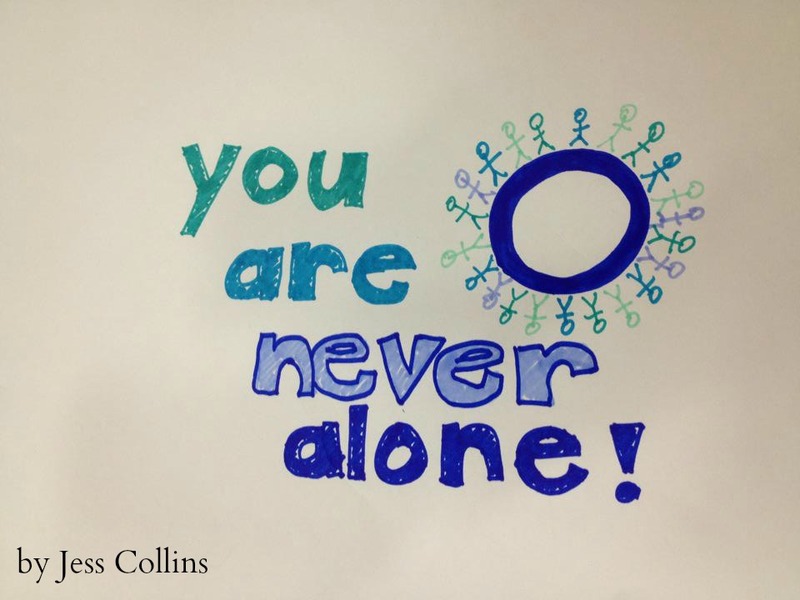 Love the art, Jess. Great to finally meet you in person at TCOYD. Lots of love, my friend. Nice! I'm glad Barb was there to make it happen. Love all the different blues! oh i love it! look forward to reading more about tcoyd too!